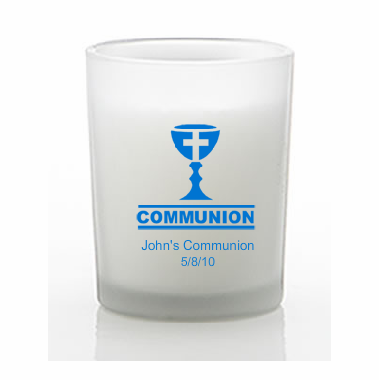 If you are looking for boys Communion favors, these candles are perfect. They combine the blue boys imprint color with a votive style candle holder. 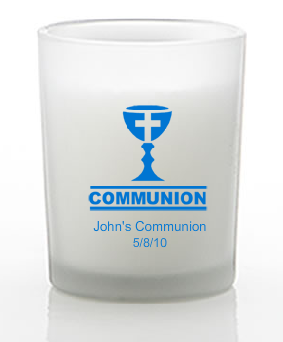 Communion favor candles are just right for a boy celebrating his Confirmation, Communion or Christening. Each candle measures 2.5" tall x 2” in diameter and come bulk packed.